Ten of the NT’s $10,000 tagged barra have been caught, out of 101 fish, since Million Dollar Fish Season 3 kicked off in October 2017. That’s 10 tags taken in a little over a month! A superb recapture rate. 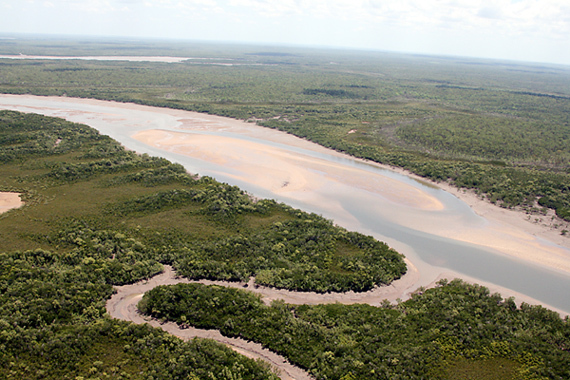 The fish have come from far and wide, including landbased captures, but mostly from the NT’s best-known barramundi fishing spots, such as the Daly River, Mary River and Darwin Harbour. Well-known local fishos have caught some of the fish, showing that a little knowledge goes a long way. You have to know the spots, and when to fish them. There’s still up to 91 fish out there, including the $1m fish itself. Where to find them? More of that in a second. 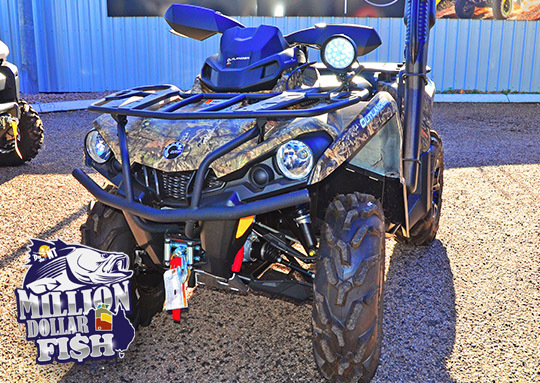 What is less well known about the Territory’s annual Million Dollar Fish promotion is that there are many prizes other than cash for the red tags, such as the superb Cam Outlander quad bike below. Just register for the event and follow any instructions for a chance to win. MDF runs until the end of February.